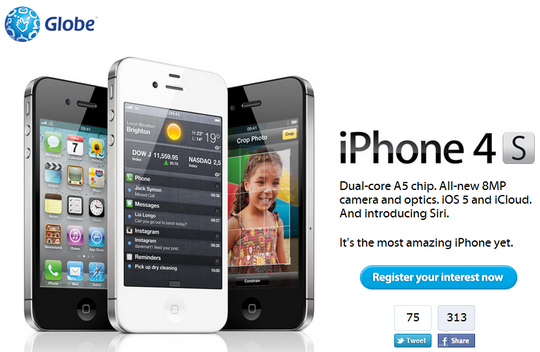 Globe iPhone 4S via Postpaid Plans - Officially Announced! Not to be outmaneuvered and outsmarted by - well - Smart Communications, Globe Telecom today proved that it's not going to take an obvious offensive from its main rival sitting down. Altogether slamming earlier speculations and malicious rumors stating that Globe Telecom's contract with Apple had already lapsed, Globe today formally announced that it remains to be an authorized and official carrier of iPhone in the Philippines. So what does this mean to postpaid subscribers and iPhone fans in the Philippines: Well, we now have a choice, which is always a good thing.